So, it has come to that time again; you want to buy a new phone? With so many different phones on the market, it is hard to choose. Samsung have been pulling out all the stops to try and compete with other market leading competitors such as Apple. The new Galaxy W by Samsung certainly proves that they have what it takes to build something of quality and class, but within a reasonable budget at the same time. For those that are looking for Android based phone, then this should certainly be on your short list. This is a powerful smart phone, which incorporates a 1.4GHz processor. You’ll have the opportunity to download and listen to music, not to mention films and TV series, thanks to the high quality touch screen which is 3.7inches. Alongside this, the Galaxy W has a 5mp camera, so you’ll be able to take some decent snaps at the same time! Android phones have become increasingly popular over the last year or so and it is easy to see why. The combination of the Android operating system and the 1.4GHz processor means that web pages will load without effort and applications always run incredibly smoothly. With the Galaxy W, you’ll be getting exactly what you want, whenever you want it. Obviously you’ll have the opportunity to explore the Android Market, which allows users to search through thousands of different applications; there are plenty of games available too. One of the important features of the phone is the camera that has been incorporated. This is not the “average” camera that you expect on a Smart phone. With 5mp capabilities, this tops some of the £50-100 point and shoots cameras that are currently on the market. This can be used as a standard camera for the instant snaps, but it can also be used as a video recording as well. You’ll be able to take advantage of the 720[email protected], which offers 480×800 pixels. For viewing, you’ll be able to use the 3.7inches and for any that you keep, transferring onto a laptop, tablet, PC or even uploading to social media sites is a breeze. 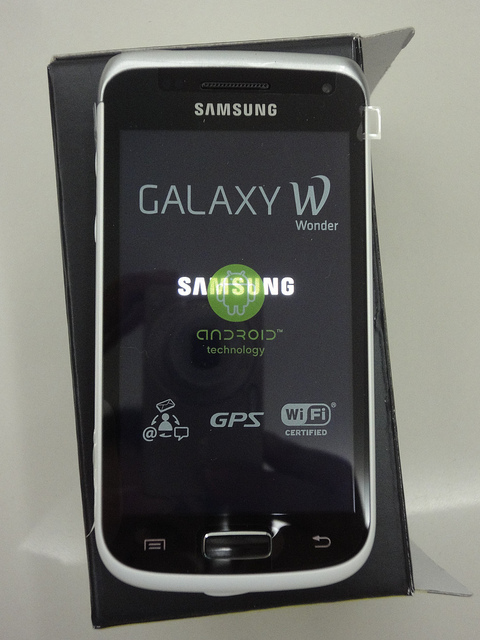 The Galaxy W is already being compared with some of the very best mobile phones on the market. The 4GB of internal memory is certainly enough to get most people started. Download a lot of films? Want to store a lot of data? No problem! Using a microSD card, Galaxy W users will be able to upgrade from their standard 4GB to a total of 32GB, which means that space will no longer become an issue. Samsung has incorporated a social media integration unit, which means connecting with all your friends via social networking websites is certainly not a difficult task. The connectivity for the phone is HSDA, which means downloads are much quicker than they are on many other Smart phones. The list is never ending. You will even have the opportunity to use the VGA camera to video call friends, family and even business associates. About Author: Laura Ginn writes for a variety of blogs throughout the internet. She has written about subjects ranging from construction, to finance and even business. That said, her heart really lies within the technology niche, writing reviews for tablets, laptops, personal computers and even mobile phones such as the Samsung Galaxy W.